HERAT, Afghanistan, December 17, 2010 (ENS) – Farmers taking part in an internationally-backed saffron-growing project in Herat province in western Afghanistan say they are being targeted by Taliban militants who want them to cultivate opium poppies instead. Insurgents in areas north of Herat city have destroyed fields planted with saffron, and last month attacked two trucks carrying bulbs for planting. Both drivers were killed and their vehicles torched. Ahmadi said everyone had been shocked by the incident. 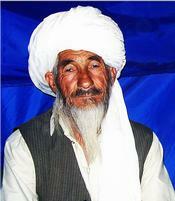 Mohammad Musa, a farmer in the village of Darz in Kushk district – believed to be second only to Shindand district for its Taliban presence – described his failed attempt to make money out of saffron. He and other farmers were given some training and issued with saffron bulbs by agriculture officials in Herat city, as part of efforts to wean them off poppies. 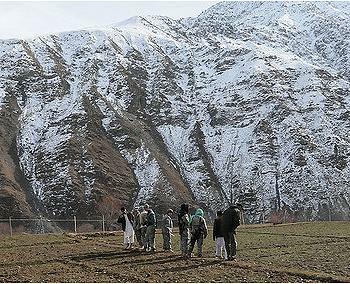 But six months later, the Taliban began threatening them, and finally destroyed their saffron crops. For farmers who have committed themselves to saffron, the Taliban attack has been disastrous. Another farmer in Kushk, Shah Mohammad, said he had prepared most of his land for planting saffron and feared he would be left destitute after the two truckloads of bulbs were destroyed. 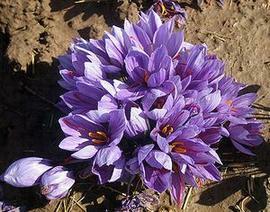 “Not only have I been unable to plant wheat this year, but the saffron bulbs haven’t reached us. I do not know how I’m going to get through the coming winter,” he said. Security officials in Herat acknowledge that the Taliban presence is significant in remoter parts of the province, but insist they are working to extend the reach of government and prevent armed groups from disrupting farming. Nikzad said police would take action to protect people if they received complaints. Farmers like Mohammad Musa have little faith in such promises. “Officials do nothing but bluff. The opposition moves around freely in our area,” he said. Mullah Sayed Zaher, the head of a parallel administration the Taliban have created in Kushk, admitted responsibility for the attack on the truck. Abdullah Halim, an expert on agricultural affairs in Herat, believes the Taliban want to display their power by showing they can make people grow poppy, and also to profit from the lucrative drugs trade. “It’s the job of government to extend its reach into areas where it currently has little access; it should try to maintain control of this region,” he added. The saffron crocus plant, whose stamens are harvested mostly for culinary use but also for medicinal purposes, needs little irrigation, is resistant to disease and can be harvested over several successive years. Herat region has become an important producer, generating 1.5 tons a year. That might not seem much, but the stamens fetch US$2,000 a kilogram on the Afghan market, and twice that when exported. 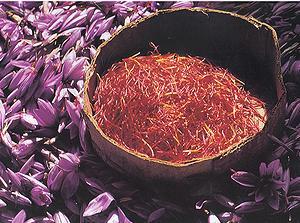 Dealers in saffron say the authorities need to do more to protect the crop. All the investment made to date is now at risk, he said, noting that the attack in Kushk meant a contract with a Danish aid group to supply saffron bulbs to neighboring Faryab province had to be cancelled. 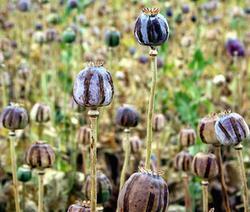 Afghanistan’s counter-narcotics minister Zarar Ahmad Moqbel says poppy cultivation in Herat fell by 50 percent last year, thanks to the efforts of his staff and other government agencies, and also because of a disease that blighted poppy plants. However, he warned that higher prices and increasing demand for opium might now be encouraging farmers to turn back to poppy growing, which would reverse the downward trend. Meanwhile, farmers like Mohammad Musa feel they are caught between two very different agricultural policies.